Hot off the heals of iPhone Mini and MacBook Air 3G rumors, there’s even more iPhone 5 rumors circulating. 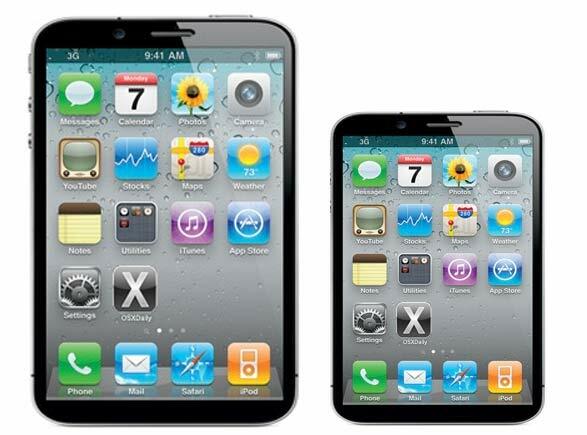 The latest is a claim that, like the supposed iPhone Mini, the iPhone 5 will include an edge-to-edge 4″ screen. With so many rumors flying around it can be hard to keep track of them all, so here’s a quick list. iPhone 5 release date: June 5 – assumed date of WWDC 2011, when Apple typically launches a new iPhone. iPhone 5 becomes your wallet with NFC chip – NFC would turn your iPhone into a digital wallet, this one actually applies to iPad 2 as well. One of three iPhone 5 prototypes has slide-out keyboard – MacGasm cites a Taiwanese website with a somewhat reliable history on product leaks. The claim? That Apple has a working prototype of an iPhone 5 with a slideout keyboard. iPhone 5 will use 4G & 3G – 4G has faster data speeds but less coverage area, but that’s no big deal because you’ll still have 3G to fall back on. Future iPhones to have wireless syncing via free MobileMe – again this is born from the iPhone Mini rumormill, but wouldn’t Apple apply it to the iPhone 5 as well? Dual-core A5 ARM processor & improved GPU – shared with the iPad 2 rumors, iPhone 5 is said to have much of the same hardware, including a better CPU, GPU, and faster RAM. There’s definitely some more that I’m forgetting to include here, or intentionally leaving out due to their obvious absurdity. Let us know if we’re missing anything gigantically important. The mockups look great. The problem with all these rumors that if they wind up true, my bank account is going to be emptied this year. I recall one of your past commentators mentioning they will supplement each Apple purchase with an equivalent purchase in Apple stock, might not be a bad idea after all! I have (with enormous self-restraint) not bought the iPhone 4, so I am really banking on next one having some truly next-gen features! I would settle for some of these rumors ending up true at the least.